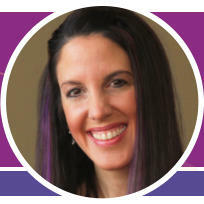 Who Am I and Why Should You Listen to Me About Finding More Fulfillment and Joy in Your Life? 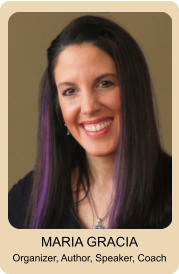 My career as an organizing writer, speaker and consultant has always been about helping my clients and students find more joy, fun and fulfillment in their lives . . . For the past 20 years, I have been helping people spend less time on the chores of life and more time on the things that bring them joy. Isn’t that really what matters most in life? I have always looked at organizing as a way to free us from the drudgery of everyday routines of TO DOs, work or home chores, errands, etc. -- things we simply HAVE to do as opposed to the things we WANT to do. I want my life and the lives of the people I care about to be filled with activities and memories that celebrate the joys of life. There are so many things I simply love to do, and so I had to find ways to enable me to do them. Yes, I still have business and family obligations, but I have found ways to get them done while still leaving me the time to do the things that put a smile on my face. I know how important this is in my life, and by talking with so many people over the years, I also know that there are millions of people who feel the same. They want more fun, excitement, and fulfillment in their lives. So I have always wanted to write about how you can have those things in your life. That’s why I have decided that it was time for me to create Anything & Everything. It’s all about the things that make my life worth living. These are the things that I am sharing with my family and friends. And now, I can share them all with people like you. With Anything & Everything I put my heart and soul into every issue. 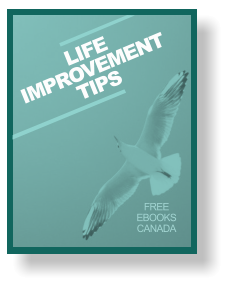 Each issue is filled with the thoughts, ideas and activities that add life, vitality and happiness to my days. I know these ideas can do the same for you. I have no doubt you will find something in every issue that will capture your heart and will speak to you. You will find yourself saying, “Yes! That’s is exactly what I want to do!” And you will have the motivation to do it. Little by little you will begin to absorb these ideas and activities and start to make them a part of your life. I guarantee that Anything & Everything will begin giving you ideas for bringing more fun, passion and joy into your life from the very first issue. You’re Protected by My Risk-Free, 60-Day Money Back Guarantee! If for any reason you feel my “Anything & Everything” monthly isn’t for you, just send me an email within the next 60 days, and I’ll issue you an immediate, no questions asked, refund. AND you get to keep everything! You have absolutely NO Risk! I am willing to offer you this crazy guarantee, because I am so confident in the value and effectiveness of my Anything & Everything monthly -- I don’t want you to take my word for it, I want you to try it and prove it to yourself! 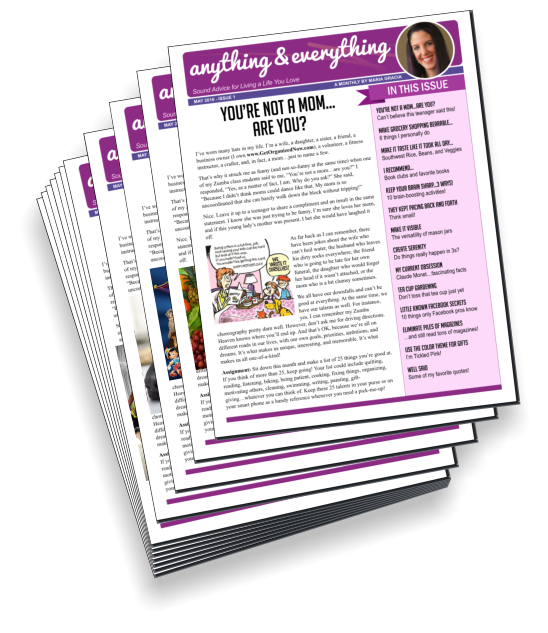 Q: How quickly can I get my 1st issue of Anything & Everything and all of my bonuses? A: It will take just a few minutes to receive your Welcome Issue and all bonuses. Everything can be downloaded to your computer. That means you will have them immediately after placing your order. Q: How will I receive the rest of the monthly issues of Anything & Everything? A: Each month you will receive an email with a link for you to download your next issue to your computer. If, for some reason, you don’t get your reminder email or have a problem, just email me at the address provided below. Q: How long can I have access to everything included with Anything & Everything? A: You will save everything to your hard drive, so you will have access to everything forever. Q: Are there any additional charges? A: No, there are no additional charges for my Anything & Everything monthly and bonuses -- just the low price listed above. Step 1: When you click the “Instant Access” button you will go to a page where you can see everything that is included in your order and how much it will cost. You can order by credit card, PayPal or check. We use 1Shoppingcart and Authorize.net or PayPal to process your order. Your personal information is safe and secure with these trusted and respected order processing services. Step 2: Click the “Check Out” button to enter your name and address and your payment information. You can then click “Submit Order.” Step 3: Next you’ll go to our download page where you can download everything to your computer hard drive. In addition to the Welcome Issue of Anything & Everything and your 10 Free Bonuses, you will then receive an email every month with a download link for your next issue until you have received your Welcome Issue and all 12 monthly issues--that’s 13 issues total. You will safe everything to your hard drive so that you can access all the information anytime and as often you like -- forever. You will also receive an order confirmation via email with downloading instructions for you to save for future use. That’s it! Enjoy! 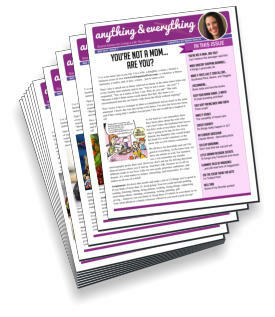 Who is My “Anything & Everything” Monthly Publication For? It’s for people that are looking for more fun, excitement, inner peace, laughter, wisdom, compassion, serenity, balance, love, creativity, motivation, inspiration, and fulfillment in their lives. They know how important those things are if you want to live a full and rewarding life. They know that if they don’t take action to find more WANT TO DOs, then their days will continue to be filled HAVE TO DOs -- and they don’t want that. If that describes you, then please give my monthly publication a try? 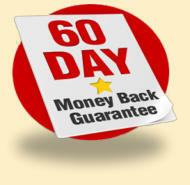 Remember, if I don’t deliver all that I have promised, you have my 60-Day Money-Back Guarantee. Just send me an email, and I will send you a refund immediately. 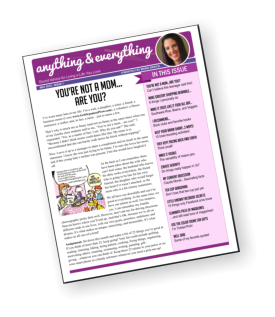 Who is My “Anything & Everything” Monthly Publication NOT For? 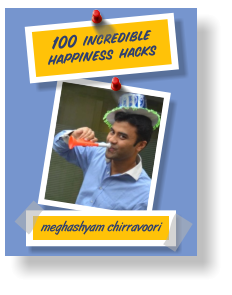 BONUS 2: 100 Incredible Happiness Hacks by Maeghashyam Chirravoori The reason that many of us aren’t experiencing the total happiness we deserve is because we offer “resistance” to the happiness that is waiting for us! We are afraid (of what will happen to us if we let go) or because we think finding happiness is very tough and we MUST do task a), task b) and task c) to be happy. You are about to discover why none of that is required. Enjoy! 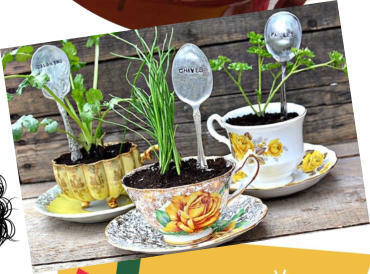 Want to try your hand at something new...gardening, sewing, scrapbooking, kickboxing, making mug cakes, photography or something else? I'm always game for a new adventure... and I'm happy to share what I know about subjects like these and more! I just love the holidays...and I have lots of perspectives and creative thoughts on what you can do to make each and every one of them delightful, whether you're sharing these special days with big crowds...or by yourself We spend a great deal of our time at home...so why not make it the best we can? I have tidbits and tricks on easier cleaning, organizing, decorating, gardening, green living...the list is endless Who doesn't love to share their opinion on various topics? I'll share mine...and I'll ask you what you think as well. I know that I learn something from every single person I come in contact with...and you can too...just by reading Anything & Everything Sometimes there are tough issues in our lives...and it's easier when we know others are going through similar challenges. Through them, we're given both hope and strength...and you'll find these inspiring stories in Anything & Everything I love to shop...but I don't love spending more than I have to. It's fun to catch a bargain...and there are lots of little-known ways to get the best value you possibly can. 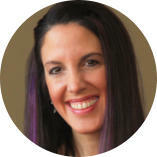 I look forward to sharing these with you How can you re-ignite that spark with your better half? I'll talk about date nights, love, romance, and what you can do to make your relationships shine What are your hopes and aspirations? What do your dreams say about you? What roads do you want to travel? You'll get so many new perspectives, possibilities, and paths in Anything & Everything And much, much more . . .
By offering this special, low price we will get a lot more people experiencing our program and we'll receive a lot more feedback -- in a short period of time. That's worth it to me. And after you try Anything & Everything, I'd love to receive your feedback too. Claim Your “Anything & Everything” Monthly Publication Today Only $24 for All 13 Issues and All Bonuses! Life is what we make of it -- it’s your choice! Our lives pull us in many different directions. It's on these paths that we find joy, inner peace, laughter, wisdom, compassion, serenity, balance, love, creativity, motivation, inspiration, and fulfillment. It's very easy to step off these paths and spend the majority of our time hanging out in the alleys of TO DOs, obligations, and chores. -- the “Have TO DOs” instead of the “Want TO DOs.” Of course, we have to hang out in those areas for a little while each day, but life can be so much more than that...if we allow it. For years now, I've wanted to write about things that take our thoughts and minds 'beyond the alleys' so to speak . . . perspectives and ideas that would inspire and entertain. That’s why I’m so excited to let you know that I created a Monthly Resource called Anything & Everything. It is filled to the brim with personal stories, humor, countless ideas that anyone can benefit from, easy creativity projects, delicious foods, monthly assignments for a more balanced life, very cool things I've learned, recommendations on movies I've watched, books I've read, and products I've used, ways to enjoy your social time...and your time with friends and family, what I do to make my own life easier and more fun, unique adventures you can take right in your own town or nearby, ways to stay fit and healthy, ideas to look and feel your very best...it's way too much to even list! Anything & Everything is created in full color...you can print it out if you'd like...or read it on your tablet or laptop. Each month, you can relax and enjoy it while snuggled on your sofa with a cup of tea, outside on your patio in the fresh air, in a park while you're listening to the birds sing--whatever strikes your fancy. Then you can pass it on to your family members for their enjoyment! Each month, you'll receive at least 12 pages of information you're going to love...sometimes more, but never less. In a nutshell, Anything & Everything is your perfect companion for being your best self...and living the life you were meant to live...the beautiful life! very month you’ll look forward to sitting back with your favorite beverage and treat while you absorb the latest issue filled to the brim with more inspiration, more fun, more ideas for living, loving and laughing. In a moment I’ll tell you about everything that is included with “Anything & Everything.” But first, here’s something you need to know . . . 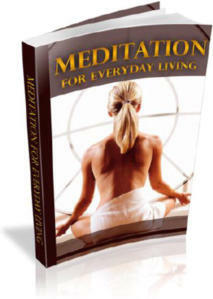 BONUS 3: MEDITATION for Everyday Living Meditation allows you guide your mind and body to relaxation and reform your thinking to enjoy a healthier and happier life. You do this by evaluating your overall behaviors, lifestyle, history, etc. The process is simple, yet, if you are not accustomed to meditation, you will need to learn a few basics steps to start living a healthier life. You’ll discover exactly what you need to know! 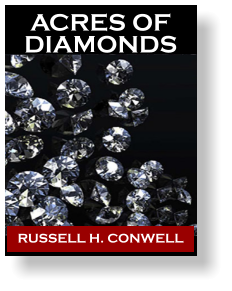 BONUS 4: Acres of Diamonds by Russell H. Conwell Acres of Diamonds is one of the most shared stories of the key to success in any endeavor. The central idea of the work is that one need not look elsewhere for opportunity, achievement, or fortune—the resources to achieve all good things are present in one's own community. The story is exotic and inspiring. 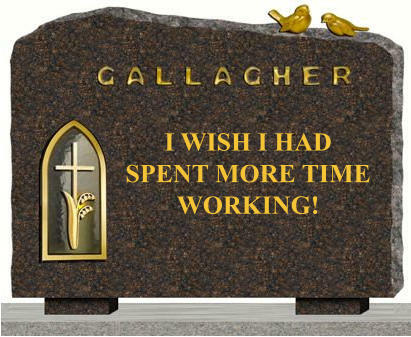 “I wish I could have spent more time working! -- NOT!” I know it’s a cliche, but no one wishes for the words on their tombstone to say “I wish I could have spent more time working!” Yes, it’s true, most of us have obligations that we must meet each day to survive. However, if those obligations begin to overwhelm us to the point where there is no time left for the things that would bring us more happiness and fulfillment, then we have lost sight of what life is all about. We have lost control of our joy. Here are just a few of the things you can lose if this situation persists. 1. You can lose your joy: The greatest loss is your joy in life. Joy is what you should be living for. It should never be left to chance. 2. You can lose energy: When your life is taken up by HAVE To’s and obligations, your life is sapped of energy. Energy comes from anticipating happy and positive moments. You need to create those moments. 3. You can lose your motivation: When you lose motivation, you lose the opportunities for better things in your life. 4. You can lose your social connections: With little energy or joy, you tend to want to be alone, because when you are with others you have very few positive things to share. Loss of social connections can lead to depression. 5. You can lose hope: When you lose hope you can lose everything. 6. You can lose your positive outlook: A positive outlook shines like a bright light. A negative outlook blinds you to the possibilities of joy. 7. You can lose your health: All of the things listed above and below can lead to depression or stress which can then contribute to illness. 8. You can lose your time: What do we have in life but time? How we use our time determines the kind of life we live. If we lose our time to chores and obligations, we will have little left for anything else. 9. You can lose your dreams: Some say the saddest loss of all, is to lose your dreams. I have to agree. 10. You can lose your will to celebrate: Celebrations are what give life meaning and they are one of the best ways to cultivate happiness and joy in our lives. make grocery shopping bearable… 6 things I personally do make it taste like it took all day…even if it took minutes Southwest Rice, Beans, and Veggies i recommend… Book clubs and favorite books my current obsession Claude Monet…fascinating facts tea cup gardening Don’t toss that tea cup just yet little known facebook secrets 10 things only Facebook pros know Keep your brain sharp 10 brain-boosting activities and a whole lot more! 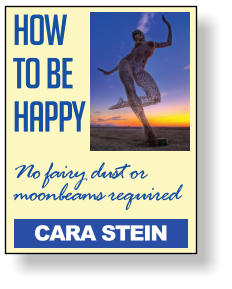 BONUS 5: How to Be Happy: No fairy dust or moonbeams required by Cara Stein Who am I to tell you anything? The short answer is: I’m someone who has learned to be happy. I don’t have a whole raft of patients, research, or case studies. I’m not a psychologist. 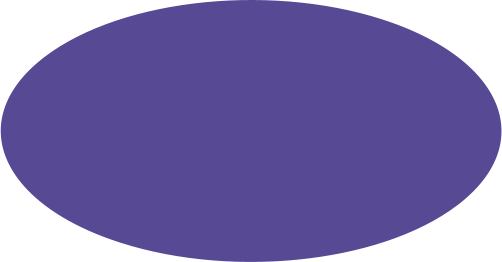 I just have the results of one experiment. I was a very unhappy person, miserable most of the time and scared a lot, too. I felt trapped, suffocated, selfish, mean, inadequate, listless, exhausted, unable to cope, and perpetually on the verge of blowing up or freaking out. With the help of people and books, I learned a lot of things that helped me become happy and enjoy my life. I want to pass what I’ve learned on to you. 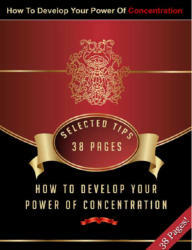 BONUS 6: How to Develop Your Power of Concentration Everyone has two natures. One wants us to advance and the other wants to pull us back. The one that we focus on decides where we end up. A man by one supreme effort of the will may change his whole life and almost accomplish miracles. You may awaken one day as if from a slumber to finally see the possibilities within you. From that time forward your life will never be the same. You alone can decide when the turning point will come. 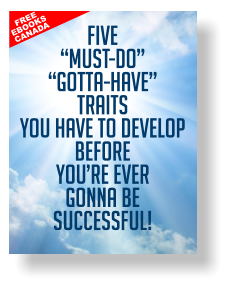 BONUS 8: Five “Must-Do” “Gotta Have” Traits You Have to Develop Before You’re Ever Gonna Be Successful There are just a VERY few traits that a person must develop in their lives before they can even START to become successful in whatever path they choose. You can think of these traits as the foundation of your growth into a successful life. You can build a life without them, but, like building a house without a strong foundation, it’ll be put at risk with the first heavy wind or rainstorm. Read these carefully and thoughtfully. They WILL make a HUGE difference in your life! BONUS 9: Positive Attitude for Unlimited Success If you are mainly positive, you will be focused on good things, happy thoughts, and successful outcomes, seeing the glass half-full rather than half-empty. 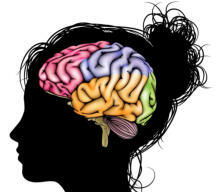 Negatively, you will be focusing on bad things, sad thoughts, unsuccessful outcomes and act and behave negatively too. Your goals and energy will not be focused and purposefully driven towards success, you will act half-hearted at best. A positive attitude is a necessary foundation of a healthy, happy and successful life. BONUS 7: The Power of Positive Thinking When you give off positive energy, you can infect others with that positive energy and they will return that energy to you. It is basically the idea that what you put out there will come back to you. People prefer the positive to the negative. You would probably rather be around someone who is upbeat and full of energy than someone who is depressed and moping around. 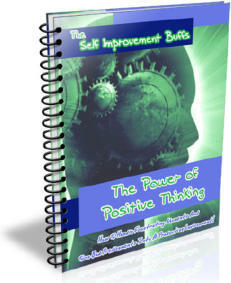 Positive thinking can be very powerful and by putting it to work in your life; you can reap the positive benefits. 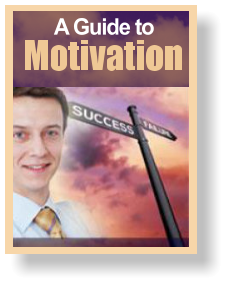 BONUS 11: A Guide to Motivation The first way that motivation will increase your self esteem is that it will help you to look at your life with a clear head. Then you’ll be able to decide what you want and where you would like to go from here. The second way is that once things start to work for you, you will feel good about yourself. You will begin to notice a change in your attitude about life and you’ll actually be able to enjoy life. As that happens, you will begin reaching for bigger and better things. Then nothing can stop you from reaching your dreams. BONUS 10: Life Improvement Tips This bonus shares tips on various aspects of our lives, such as How to bring up your children properly, How to deal with people to get what you want, How to determine what you want in life, How to make others like you, How to reduce stress and be happy, The secret to fast learning, How to use creativity to improve your life, and much more. 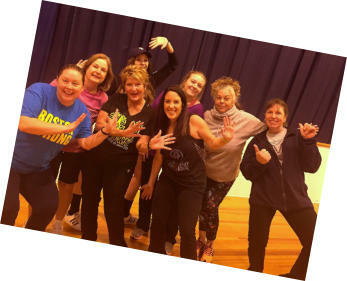 “Anything & Everything” is about LIFE -- and How to Live it to the Fullest! These are the things that excite and motivate me, and I know they will do the same for you! Here is Everything You Get When You Order Today! AND 16+ Past Issues of Anything & Everything! BONUS 1: 16+ Past Anything & Everything Issues! by Maria Gracia That’s right! In addition to the regular 13 issues you will recieve, you will also get ‘instant’ access to the past 16+ past issues. Wow. This bonus alone makes this offer too good to pass up.